Teddy Ruxpin is more lovable than ever before and brings Magic and Friendship to story time with interactive technologies and features! 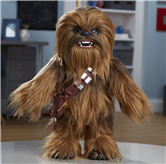 He enjoys telling tales and singing songs with friends ages 3 and up, making him the perfect companion. 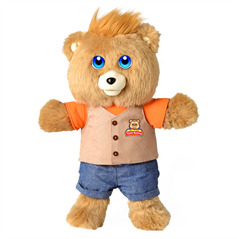 Teddy Ruxpin is embedded with innovative technologies which include color, electronic LCD eyes that react in fun and surprising ways as he tells tales and sings songs. There are more than 40 full-color eye expressions and animations. These expressions sync to Teddy Ruxpin's emotional state as he takes you on exciting storytelling adventures. 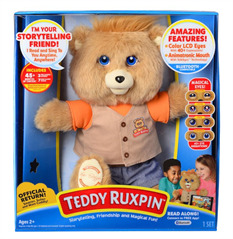 Teddy Ruxpin's motorized mouth with talking technology moves whenever he Speaks or sings. 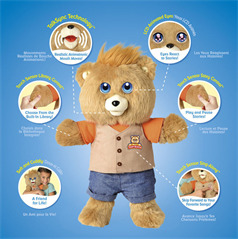 Children can start, pause or move on through the stories, using the easy-to-use touch sensors in each of Teddy Ruxpin's paws. Want to fast forward through Teddy Ruxpin's sing-a-long songs? Just touch the Teddy Ruxpin logo on his vest. Teddy Ruxpin is Bluetooth-ready, enabling him to quickly sync with the exclusive story time app on any smart device. Downloading the app is free and easy. There are two convenient and fun ways to play! Mode #1 - Use the free story time app to help new readers advance their reading abilities; view digital books to read along with Teddy Ruxpin on any enabled device! mode #2 - When a device isn't available, kids can enjoy listening to Teddy Ruxpin's stories without the read-a-long app! Teddy Ruxpin comes with three original stories already unlocked with purchase the airship, all about bears and captured by Mudblups! There are seven additional stories available to purchase and unlock in the story time app. 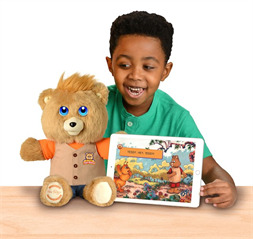 And remember, you don't need a Wi-Fi connection to access your unlocked stories and songs, so Teddy Ruxpin is the perfect pal for story time fun anytime, anywhere! 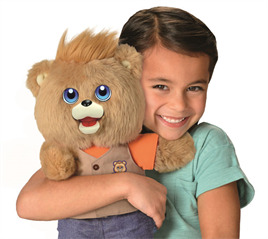 Teddy Ruxpin is back - and better than ever! He's just so adorable and will be a niece's or nephew's best little buddy bear.